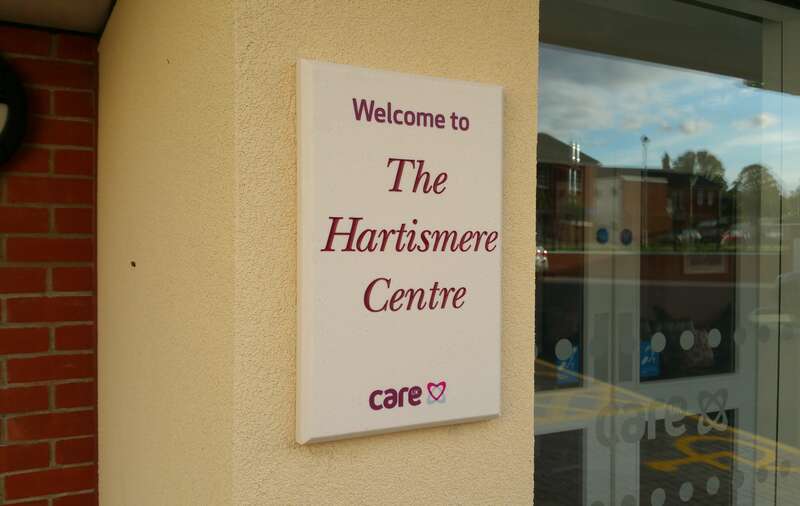 Care UK are an independent provider of award-winning care services with over 100 care homes across the UK. 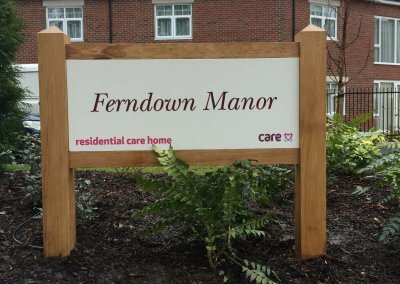 Renowned for their provision of excellent long-term care services and accommodation, they are constantly striving to improve the quality of life of elderly people. 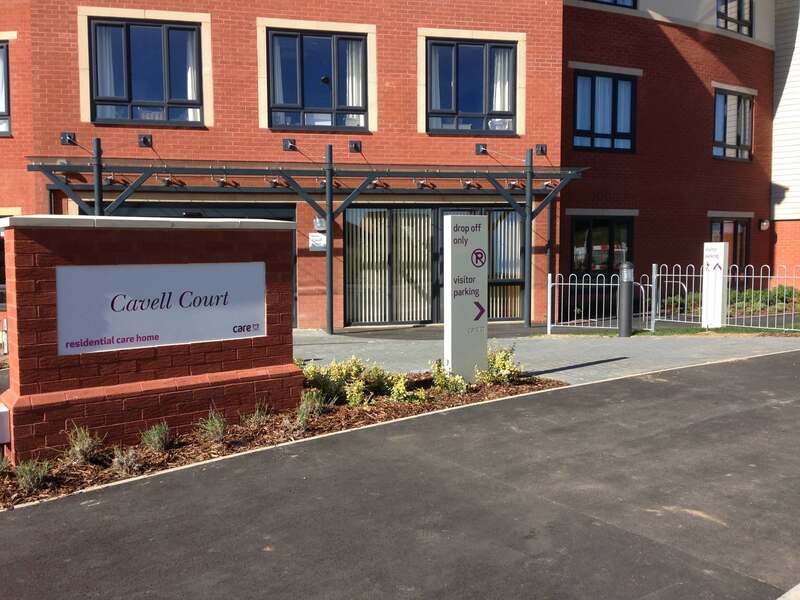 Taylor and Pickles are proud to have worked with Care UK for nearly 10 years. 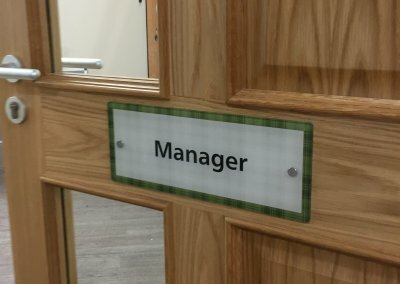 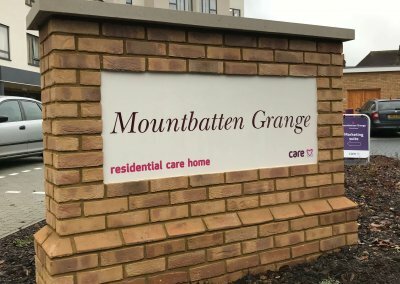 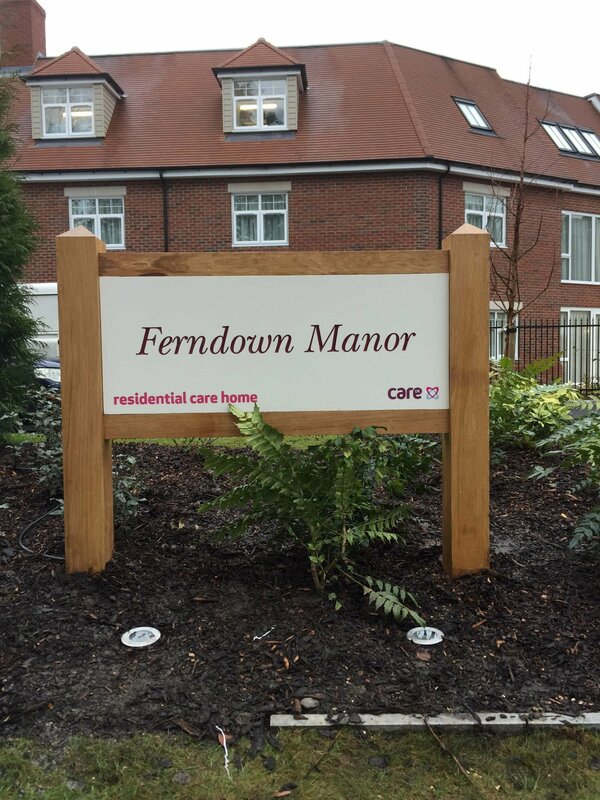 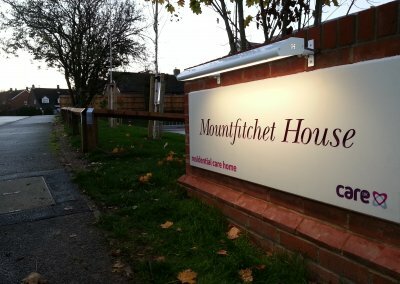 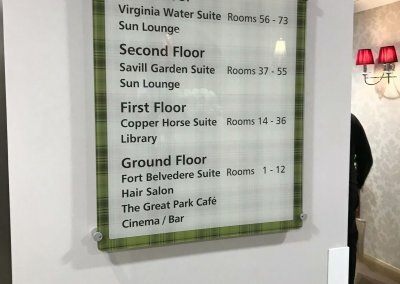 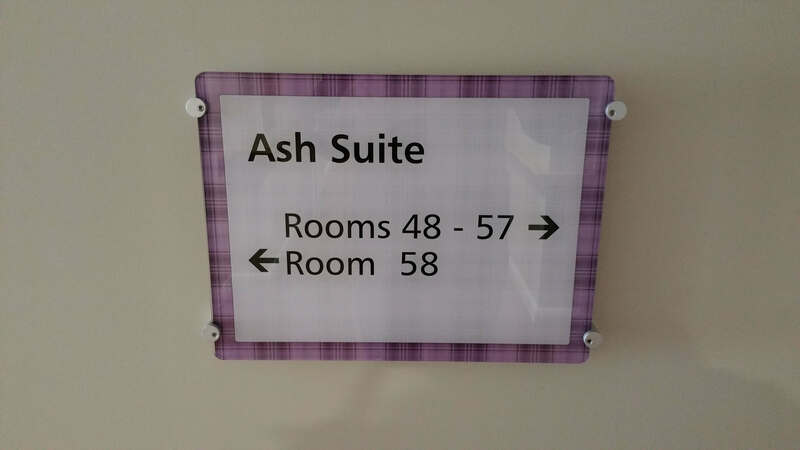 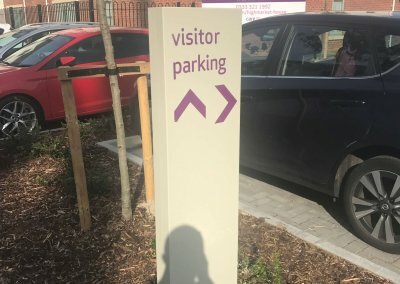 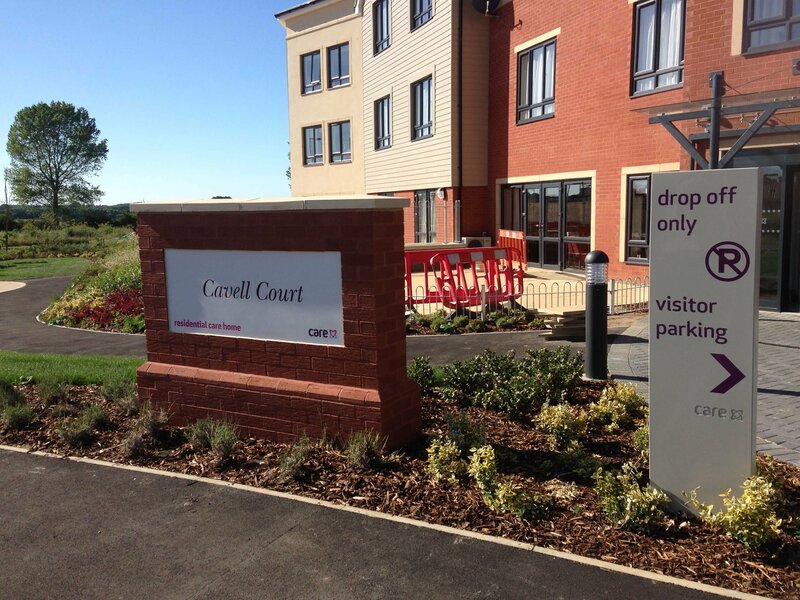 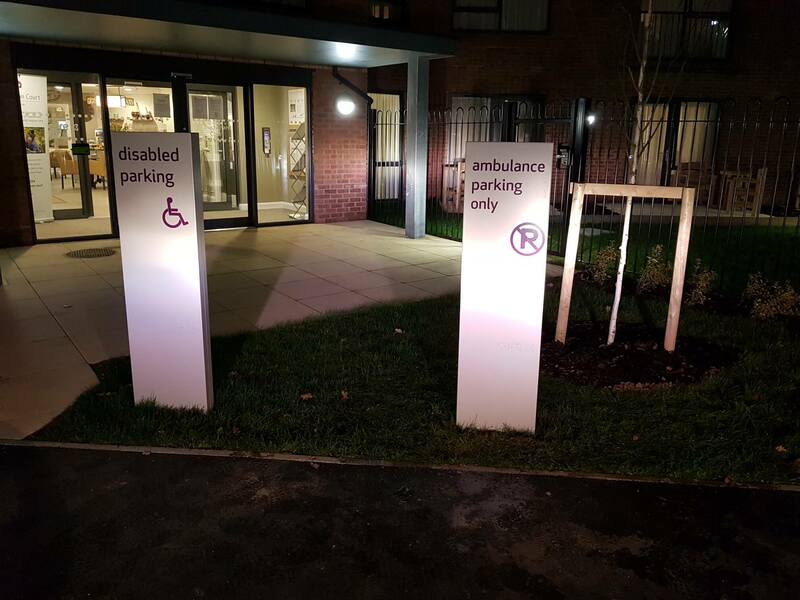 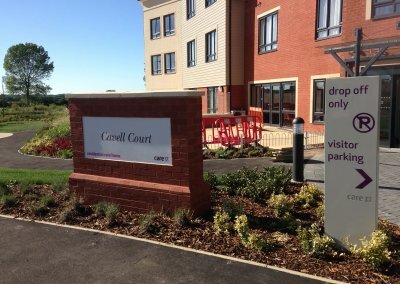 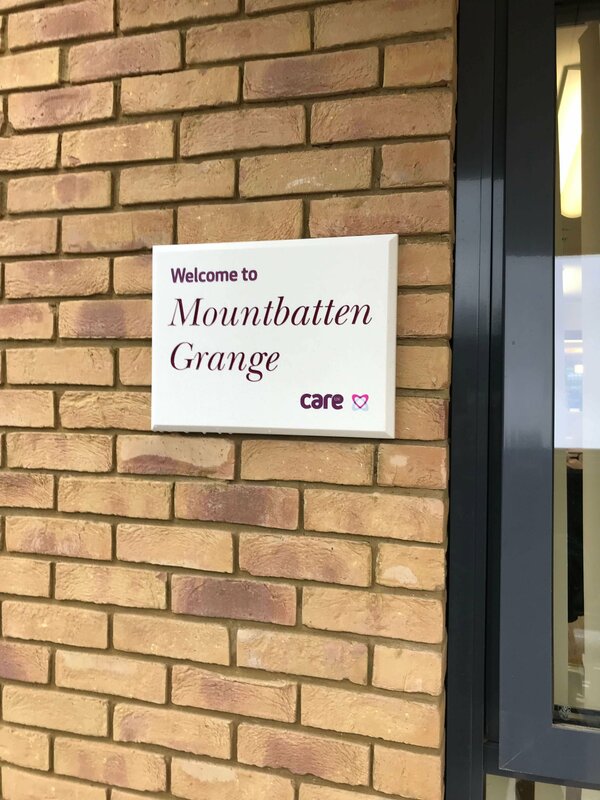 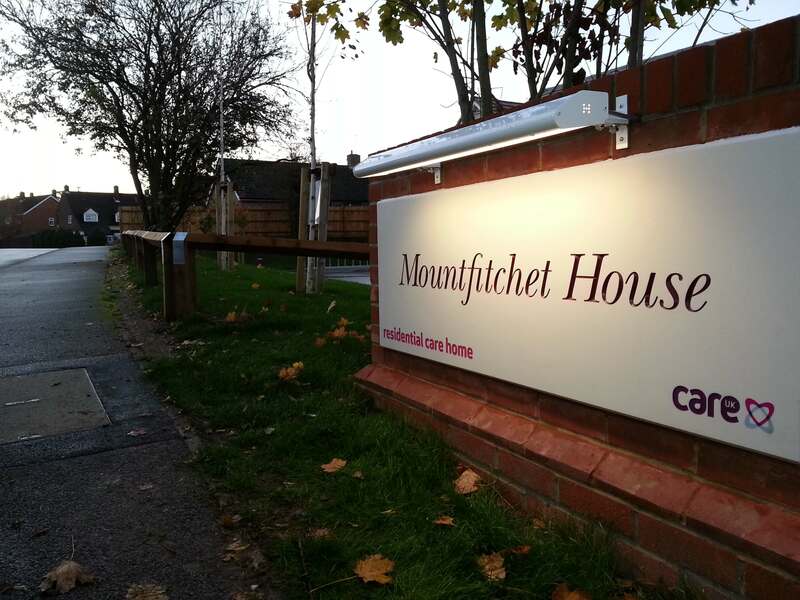 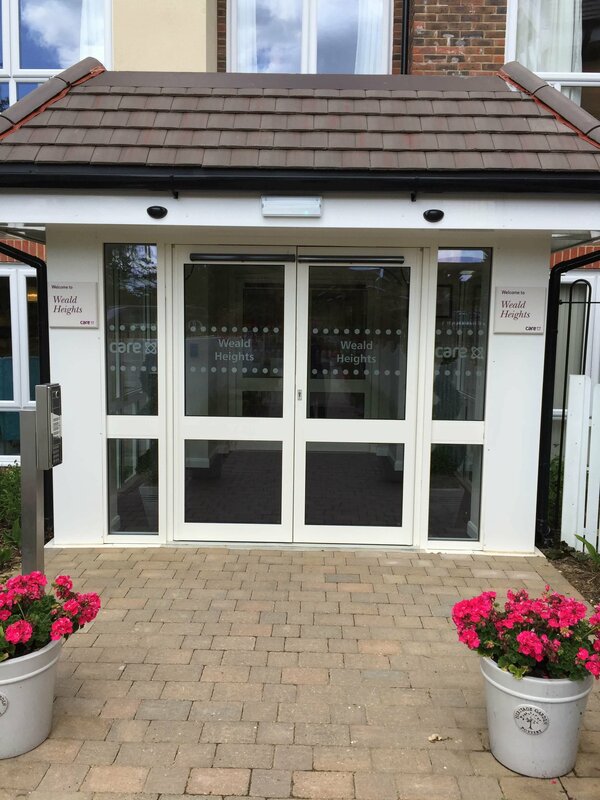 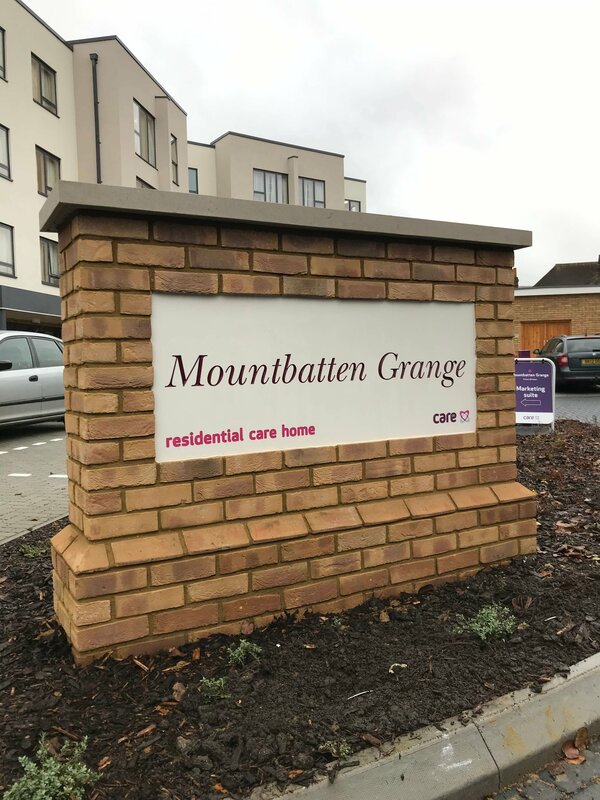 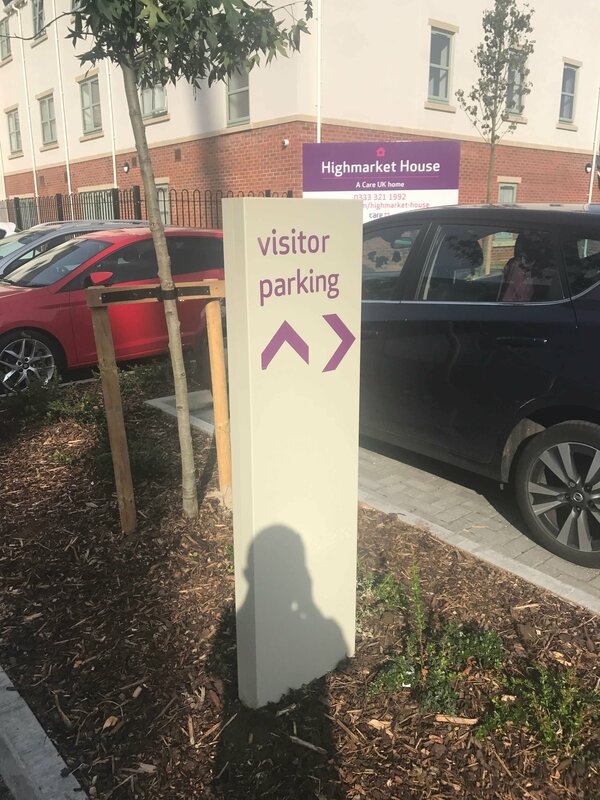 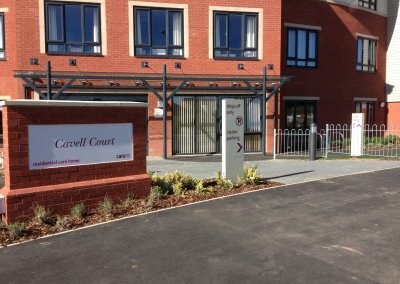 For every care home, we oversee the signage project from beginning to end; from producing initial signage schedules for planning applications, right through to manufacture and installation. 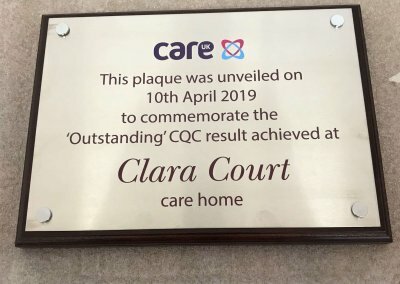 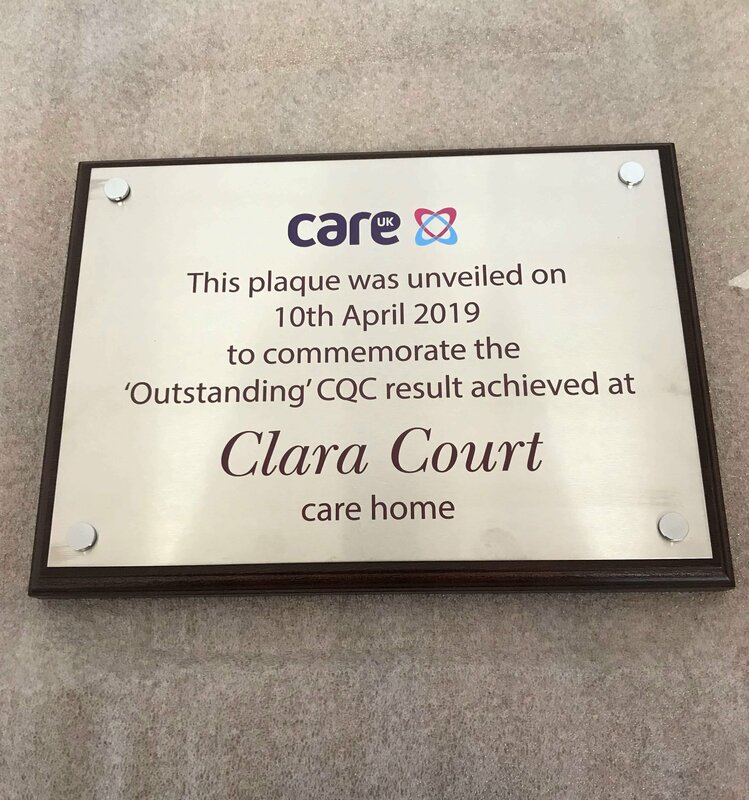 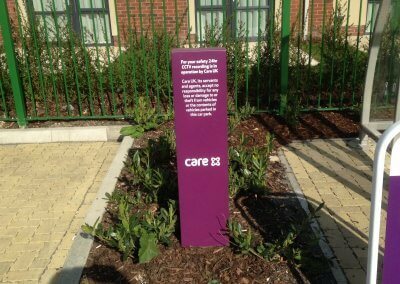 We created a range of signage products bespoke to Care UK, which have been carefully designed to first and foremost assist those living with dementia, whilst also giving consistency to brand identity throughout all 100-plus homes. 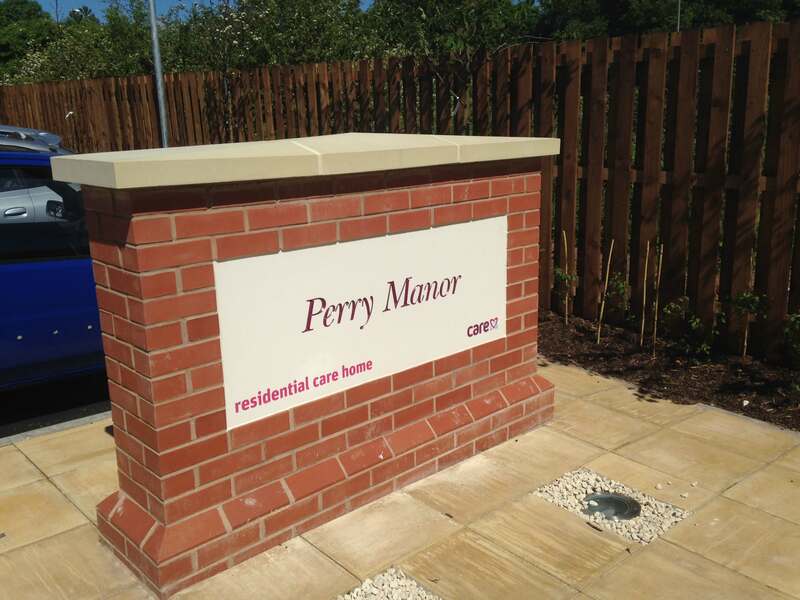 The main external signs are produced from the marble effect material Corian, which is 3D carved and infilled to produce eye-catching signage of the highest quality. 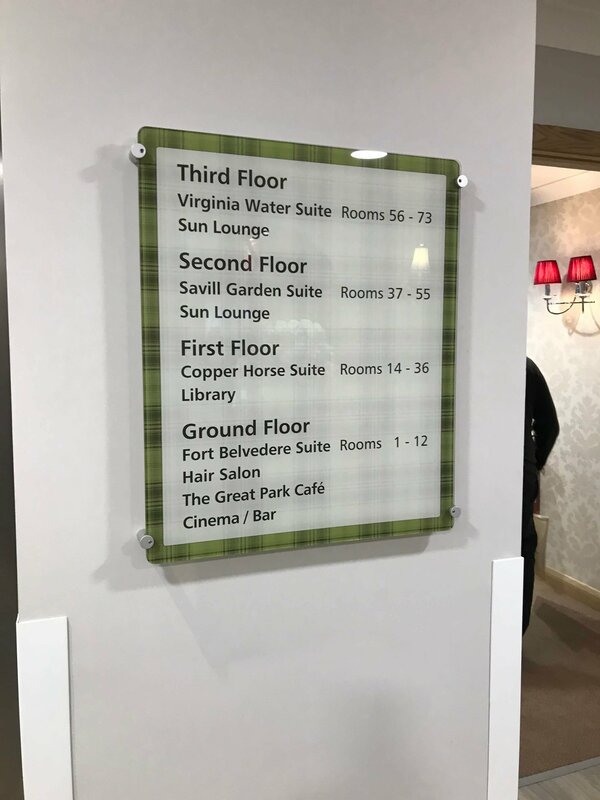 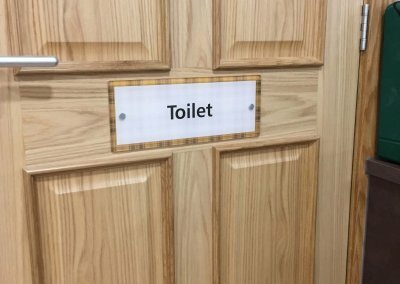 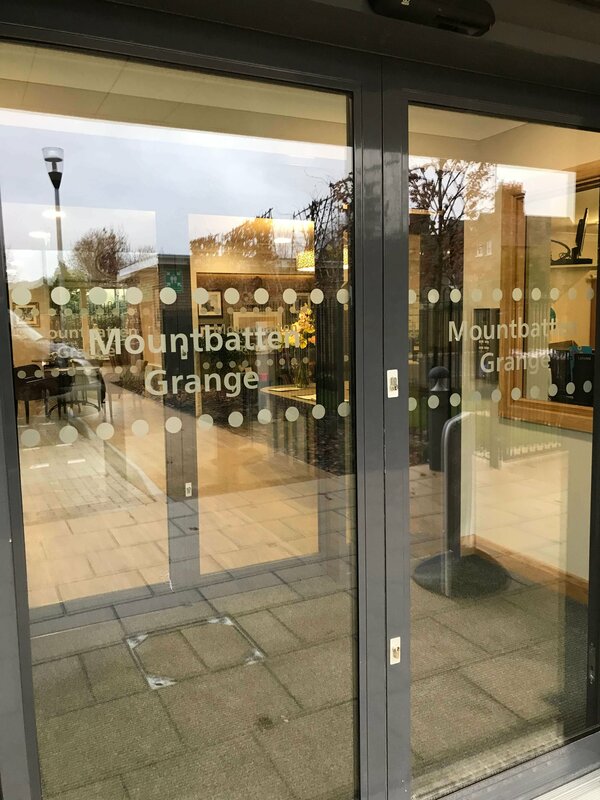 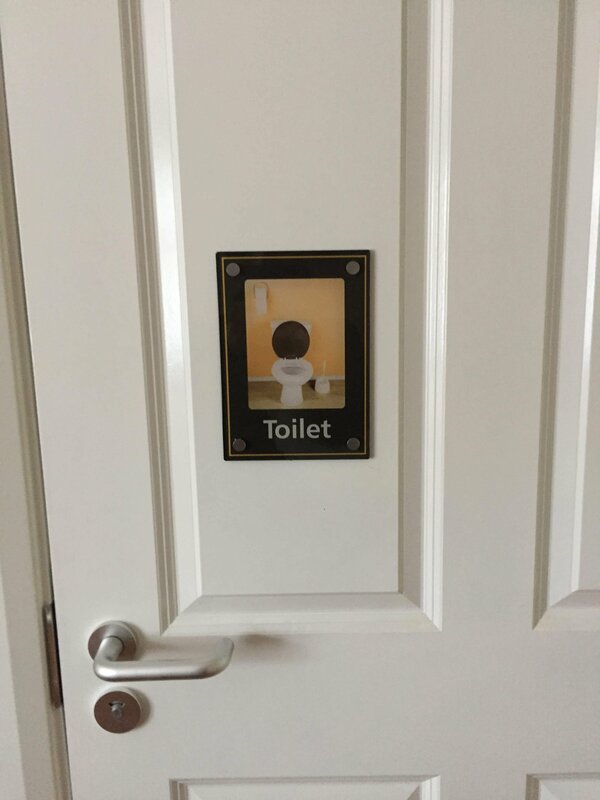 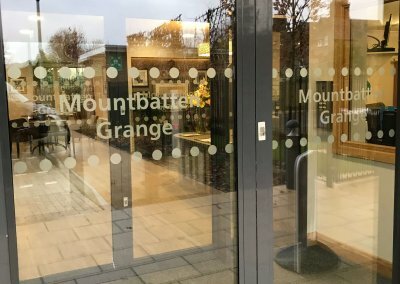 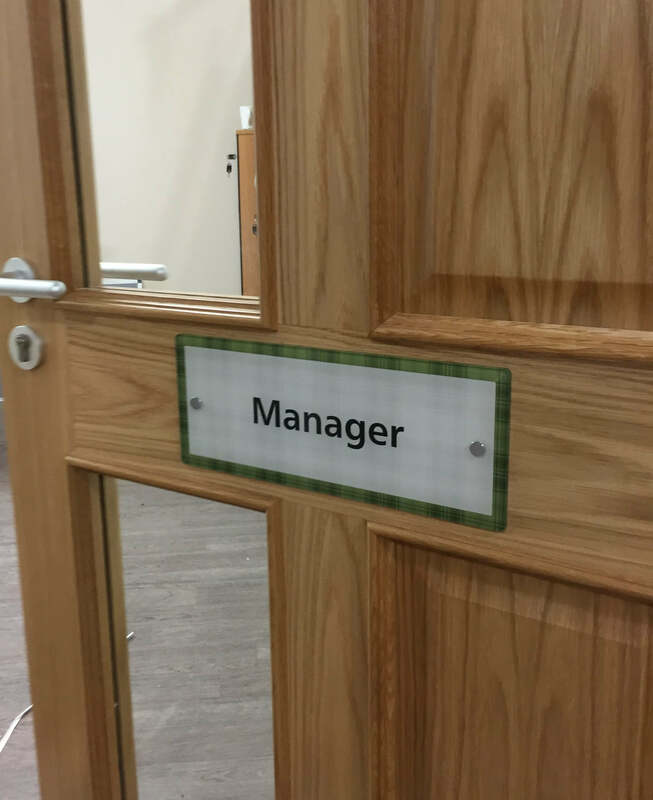 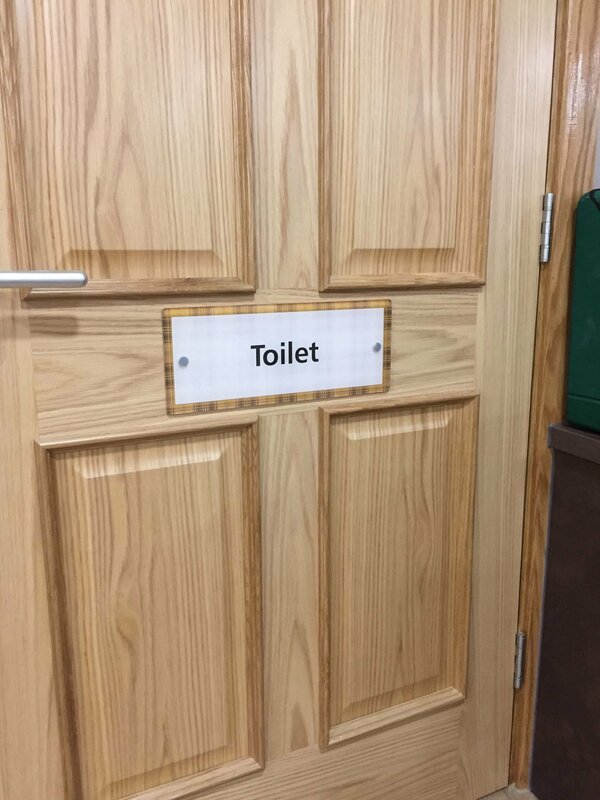 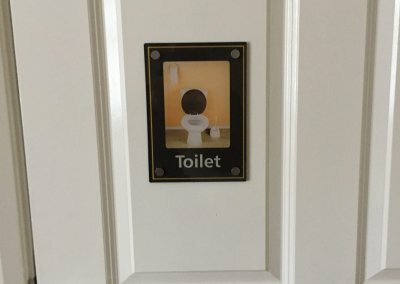 All internal signs have a modern finish, designed to match the internal décor of the surroundings, whilst the door signs incorporate a picture display aperture. 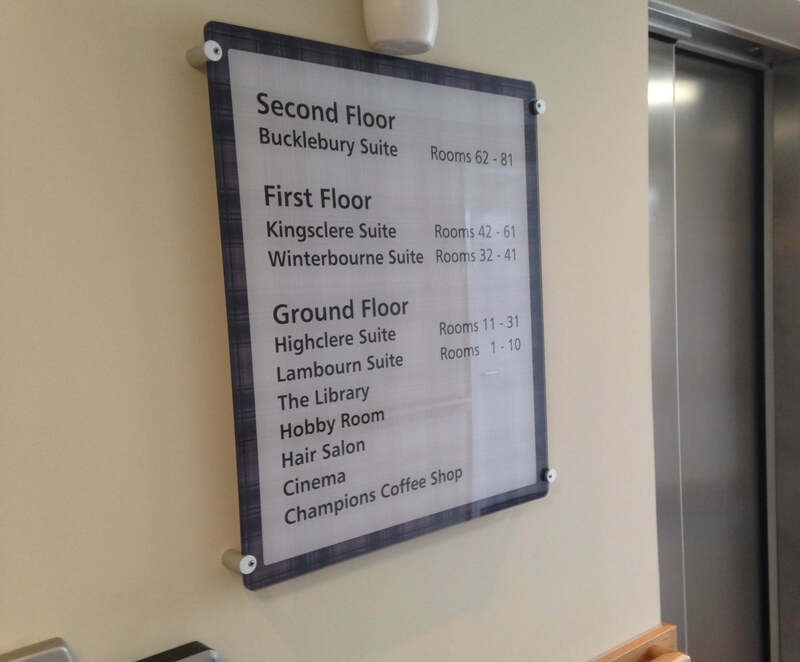 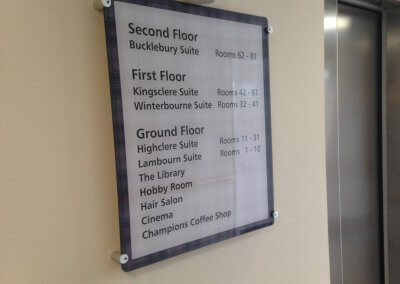 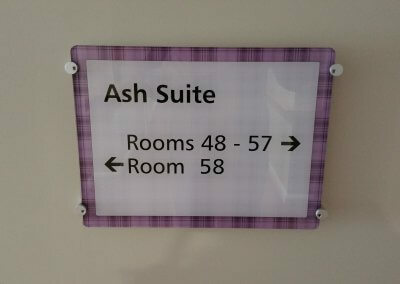 All signs are manufactured and designed to dementia signage specifications. 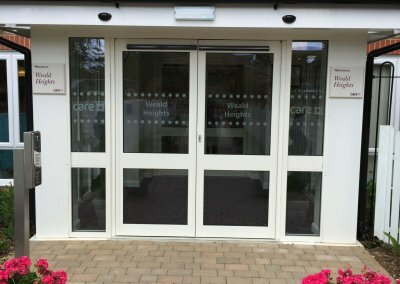 Window graphics are also applied to the main entrance of each home, helping to enhance the warm welcome that Care UK prides itself on. 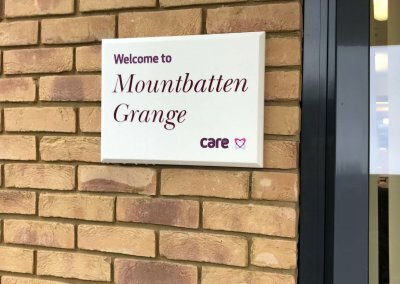 As Care UK expand and develop year on year, we’re proud to continue our trusted partnership and help to maintain their trusted brand identity. 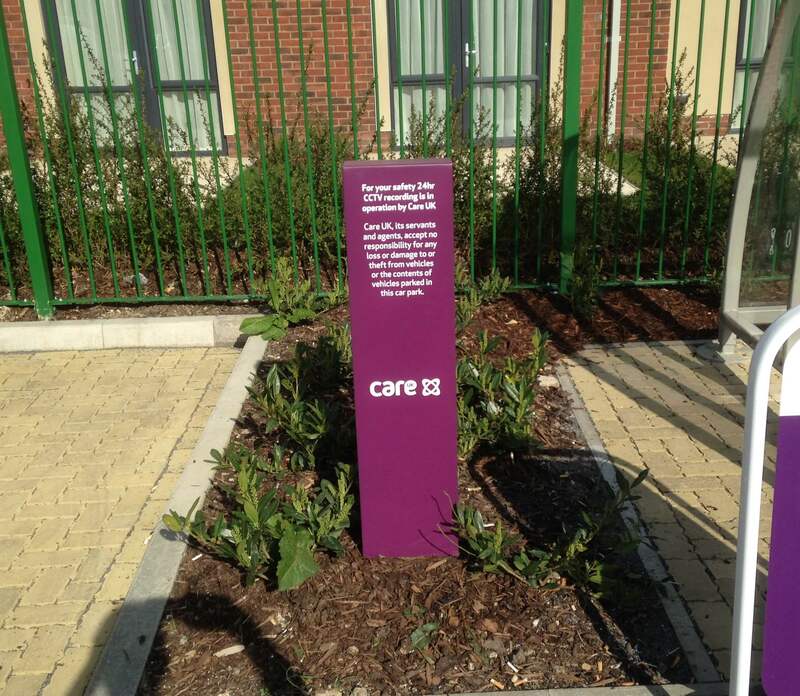 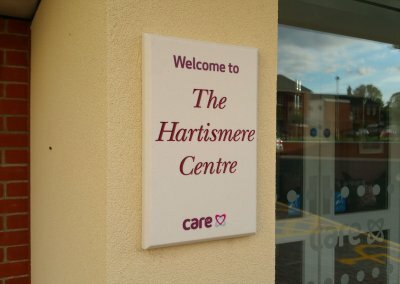 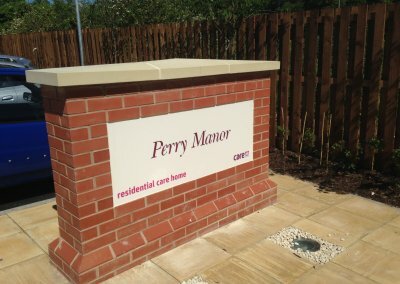 Skills Branding, Signage, Care Home Signage, Design, Manufacture, Installation, Dementia Signage.